We believe that Millbrook provides some of the best Primary School facilities in the area. We are lucky enough to be sited in an expansive 1930s building that allows us the room to provide our pupils with an extensive library, heated indoor swimming pool, a fully kitchened modern health dining room, two large dedicated ICT suites, and a large playground with controlled access to Desborough Park sports ground. Millbrook has a very large and well-equipped library. There is an extensive reference section for help with special projects and homework and storybooks appropriate for all ages. The school has its own librarian who provides support during lessons as well as lunchtime reading clubs. There is access to the Internet from the library to further increase study aids. All children from Nursery upward attend the library on a weekly basis and may take one or two books per week depending on age. Books should be brought back on the correct ‘library day’ for each class, when children are encouraged to exchange them for new choices. Millbrook School is very fortunate to have its own heated indoor swimming pool. 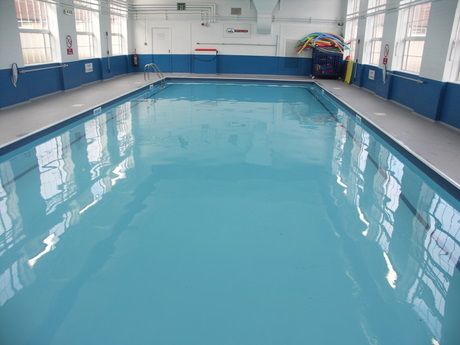 The pool has recently been refurbished and provides an excellent opportunity for children to develop their basic swimming skills and understanding of water safety. The pool is used to teach swimming to children in Years 1-6 during curriculum time. The school looks for other opportunities for children and parents to use these facilities during the evenings and weekends. 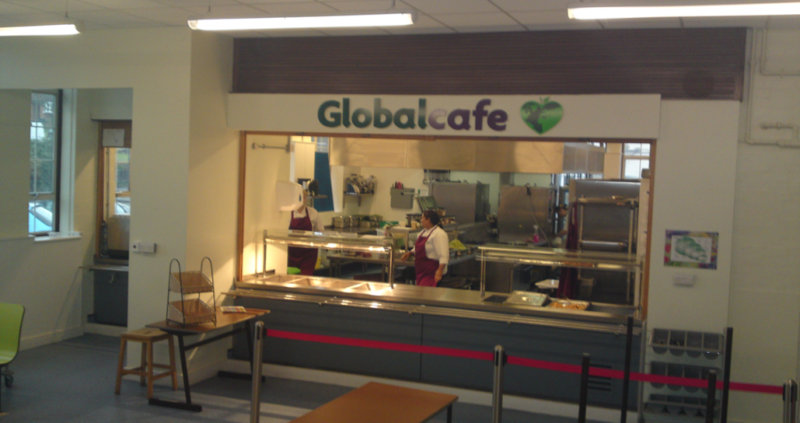 Good quality cooked meals are available in the school’s dining room. The kitchen facilities are managed by The Global Café, and the chef and kitchen staff provide a varied menu with a range of dishes from which to choose. Menus are published every term. Fish, poultry, meat and vegetarian dishes, salad and fresh fruit are always available. The children designed some fantastic artwork which is now on display in the Global Café. Please click on the link below for the Autumn Term Menu. During the 2011 autumn term the courtyard at the heart of our school was completely transformed into the new Faith Garden. The garden has created a space for reflection, learning, performance and celebration. It was officially opened in May 2012 by the Mayor of Wycombe in a celebration of the school and its place within the community. The garden is a formal space for the use of the children at Millbrook Combined School and the community around us. It does not describe or represent individual faiths, but rather uses elements within the garden to help consider the importance of faith in life and learning. Community groups are welcome to contact the school office to discuss ideas about coming to visit the garden and make use of our facilities.